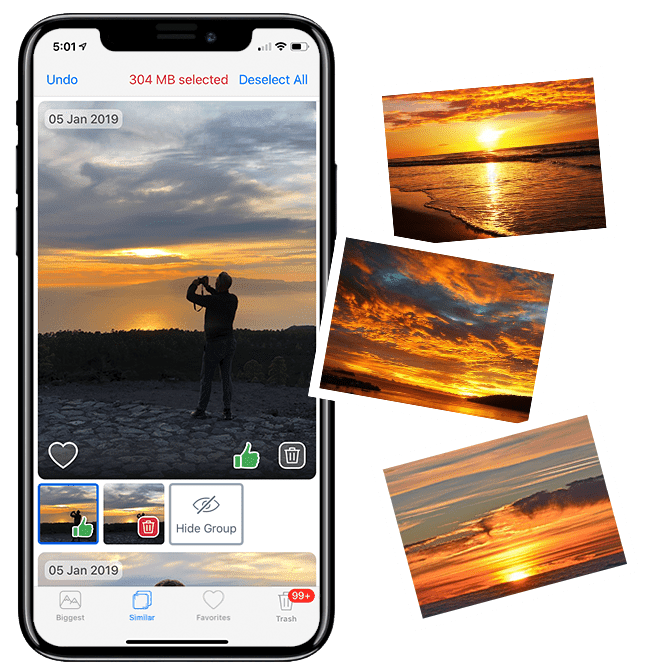 Phone Cleaner for Media Files is a tool to quickly free up the storage space on your iOS device from the biggest media files duplicate photos. Dear users, thank you for your reviews. It is always a big pleasure for us to read about your experience with Nektony’s applications. It helps us to make our apps even better. I deleted unneeded photos and videos in 2 minutes. Just in 2 minutes cleaned 6.5 GB! WOW! Freed a big space on my Iphone 6..to all I recommend this app. Cleaned my phone immediately and freed up so much storage for me. Not bad, it’s good to know how much space of my memory I’m going to have once I delete some photos and videos. Pure frustration trying to clean up my photo storage. Ask Apple Store and try many different apps. Nothing really help effectively. Until I found this Awesome app. It finds the biggest photo and video for you. So you can clean up really fast. I love this app so much because it is good for getting rid photos that you don’t need. Great little device to quickly remove photos you don’t want! My only complaint is every time you use the app, it wants you to write a review even after you already did it….gets annoying! This Excellent Videos Cleaner I have found in my experience on iPhone. Does a good job to note what and how much is being cleaned up. This app did exactly what it said it would: cleared out the data and documents on my iPhone. Very happy with it. Took seconds to find and delete over 400 duplicates on my phone. Have you already experienced iPhone Phone Cleaner for Media Files?